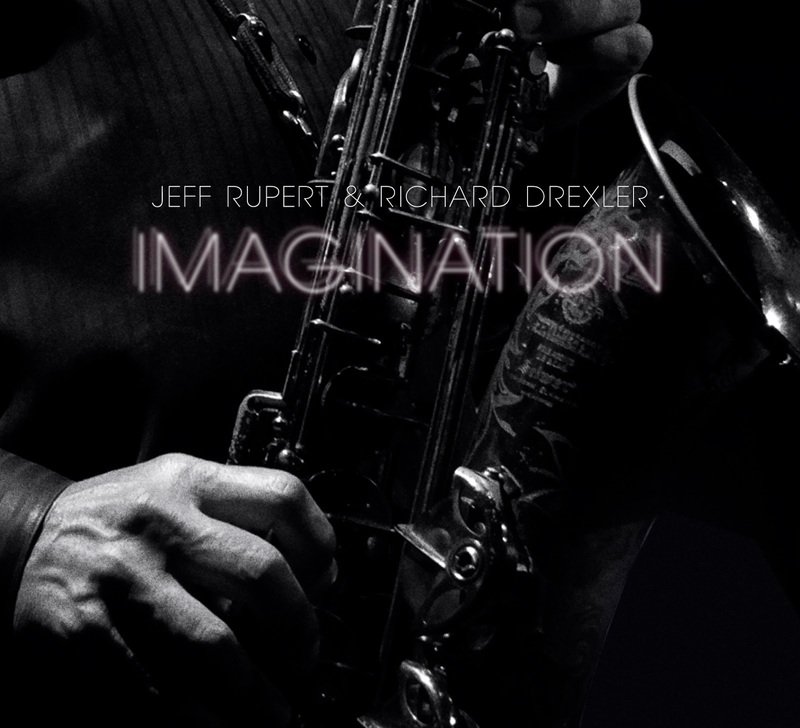 CD Review: Jeff Rupert & Richard Drexler, "Imagination"
Jeff Rupert and Richard Drexler have just released a new CD that highlights their enormous musical talents. Jeff Rupert has a long list of credits that include recordings and tours with Diane Schuur, Mel Torme', Ernestine Anderson, and Benny Carter's Grammy winning "Harlem Renaissance". He toured with Maynard Ferguson from 1997 through 2002. Here is a quote from Maynard "From the moment I first heard Jeff Rupert with my band I considered him one of the great Jazz players of today". In addition to Composing, Arranging and playing Tenor Sax, Jeff is a Pegasus Distinguished Professor, Trustee Endowed Chair and Director of Jazz Studies at the University of Central Florida and founder of Flying Horse Records. But on Jeff's new CD, there is no big band, only the talented Richard Drexler on Piano, and as a result, listeners can get a close look at Jeff's improvising mastery and also the sensational tone he produces. Pianist, Bassist, Vocalist and Composer/Arranger Richard Drexler has performed on over 200 recordings and played Piano in the Woody Herman Orchestra for over 20 years. He has performed with some of the greats of Jazz, George Benson, Diahann Carroll, Vic Damone, Donovan, Connie Francis, Amy Grant, Al Jareau and tons more other Jazz greats. Richard is also a faculty member at the University of Central Florida's acclaimed Jazz Studies program. There are 8 wonderful songs on this CD, one composed by Jeff Rupert and the others from some of the best American composers like Vincent Youmans, Steve Wonder, Claude Thornhill, Dave Brubeck, and Jimmy Van Heusen/ Johnny Burke. These songs being performed by a great Tenor player and a just-as-great Piano player is a joy to any music lover. This CD was released on January 2, 2017, and I highly recommend it. 2. "I Can't Help It"
I have attached a "YouTube" video of Jeff and Richard playing the stunningly beautiful standard, "Snowfall" composed by Claude Thornhill. I found another "YouTube" I could not resist attaching for you. It's Jeff Rupert playing an up-tempo version of the Cole Porter classic "Love For Sale" with the Dirty Martini band.